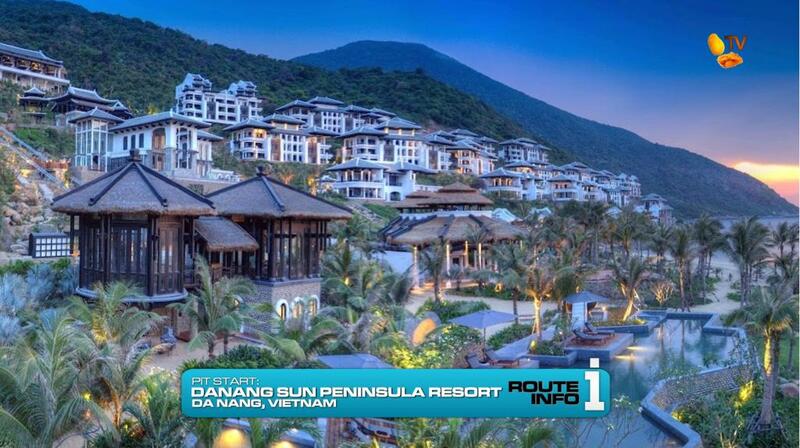 During the Pit Stop, teams were taken from the Marble Mountains to the Intercontinental Danang Sun Peninsula Resort for a short breather from the Race before they set off on the final stretch. Teams open up the first clue of the Leg telling them to fly to Hong Kong, China. Getting some help from the front desk, teams get on one of two flights to Hong Kong. 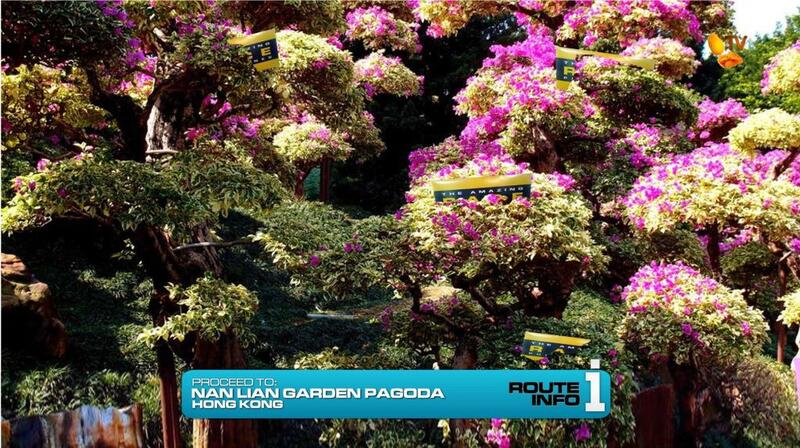 The first leaves Da Nang at 9:50am and arrives in Hong Kong at 12:45pm. The second flight leaves Da Nang at 8:15am but connects through Hanoi and arrives in Hong Kong at 1:30pm. 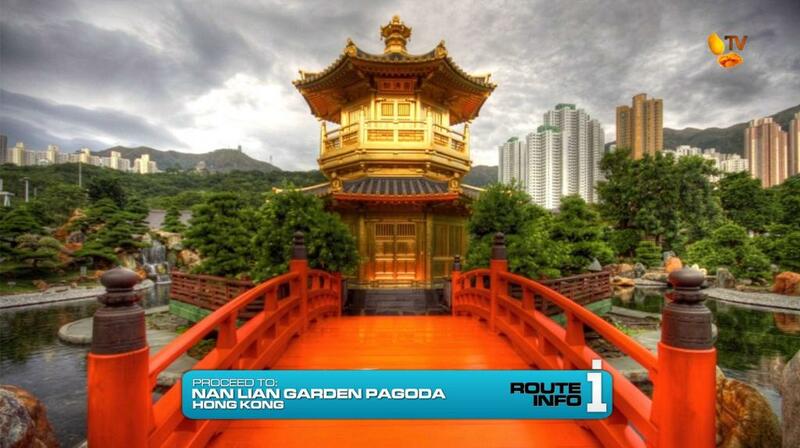 Once in Hong Kong, teams must travel to the pagoda at Nan Lian Garden and search amongst the flowers and bushes for their next clue. 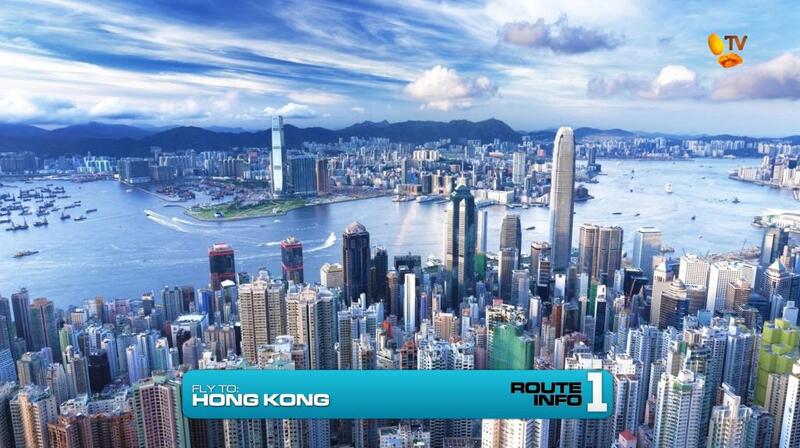 And that clue reveals they aren’t staying in Hong Kong for long! 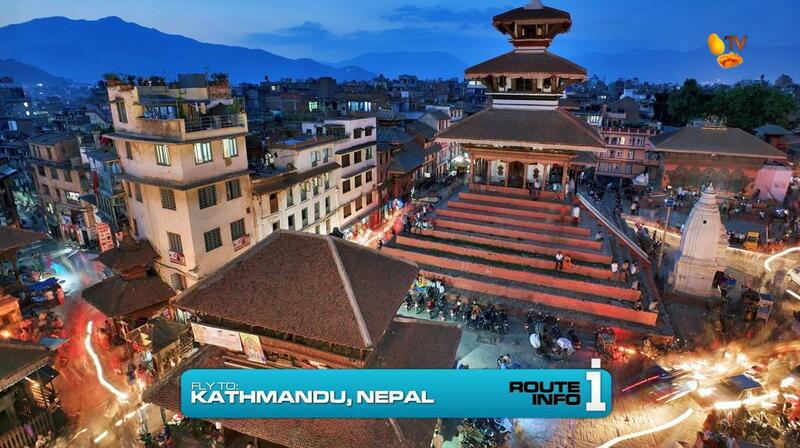 For the first time in the history of The Amazing Race, teams will travel to Nepal and its capital Kathmandu. Flights from Hong Kong to Kathmandu arrive shortly before 10pm. 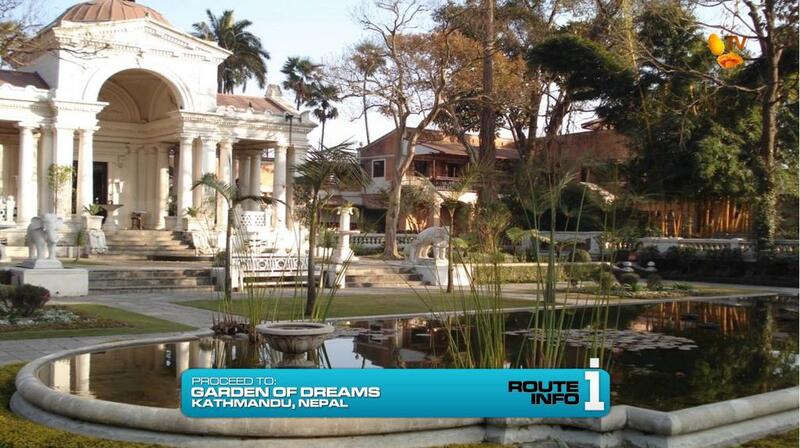 Once in Kathmandu, teams must make their way to the Garden of Dreams. But teams will find HOURS OF OPERATION! The Garden has closed at 10pm and will reopen at 9am. When teams finally get to the enter the Garden in the morning, they will find the Detour. For this Detour, teams will choose between two handmade products of Nepal. The choice: Paper or Incense. 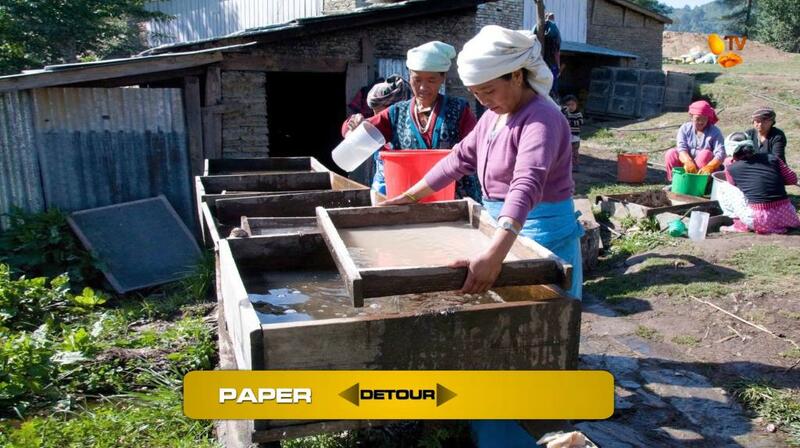 In Paper, teams will learn how to make lokta paper, a handmade Nepalese artisan paper. After making five large sheets of paper, teams will then lay out five pre-made sheets to dry before receiving their next clue. 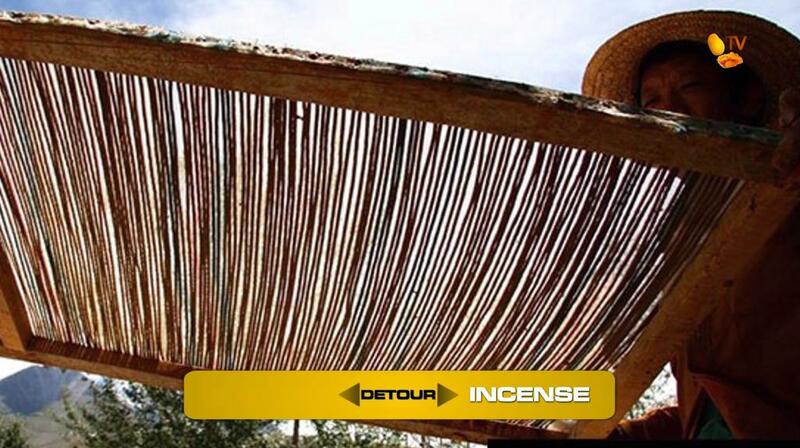 In Incense, teams will learn how to make traditional Nepalese incense by hand. After laying out one tray of incense, teams will then collect one tray of already dried incense and pack them into separate tubes to be ready for sale. 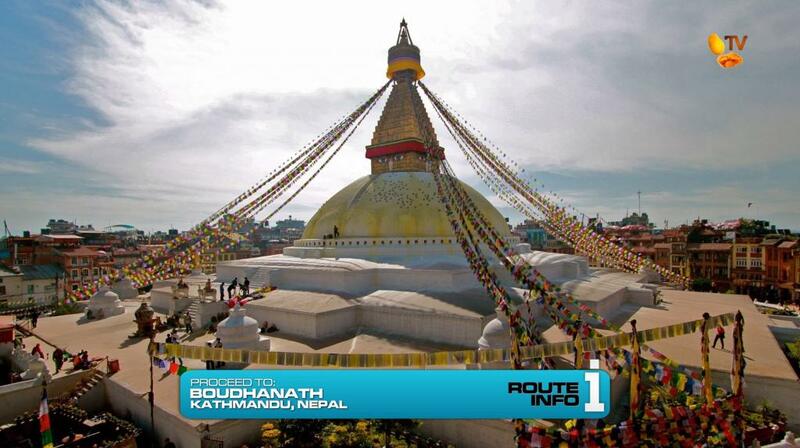 After the Detour, teams must search around the Boudhanath Stupa for their next clue. And this clue reveals the first ever Double Road Block. While a Road Block is a task that only one team member can perform, a Double Road Block is a two-part task that must be split between both team members. Just like the regular Road Block, however, teams must decide who will do which half of the Road Block based only on the clue question before opening and reading the full task description. Double Road Blocks do not count towards the regular Road Block count. Who prefers fresh air and who prefers the heat of the kitchen? 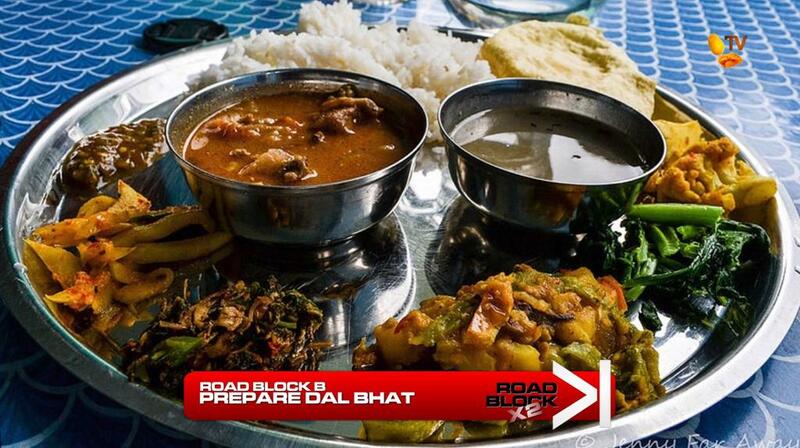 For this Double Road Block, teams will help prepare the traditional Nepalese dish known as Dal Bhat. Teams will encounter the 2nd Double Yield of the Race. 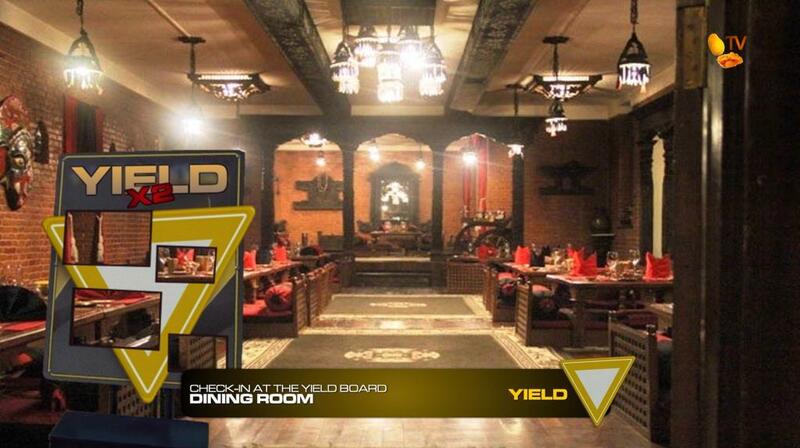 Teams must check-in at the Yield board before they can hand off the Road Block to their teammate. 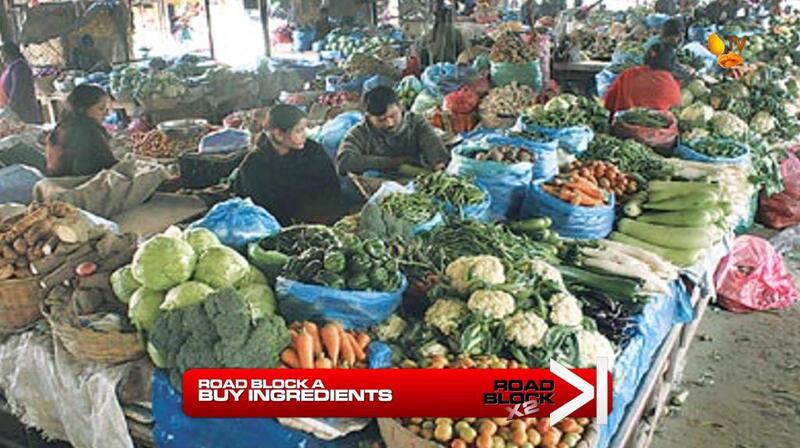 For the second part of the Road Block, the other team member must now use the ingredients purchased by their teammate to actually cook the dish and prepare the plate of Dal Bhat and its side dishes to be good enough to serve. During both Road Blocks, the non-participating member at the time will get to witness people praying at the stupa. Once teams can successfully complete this Double Road Block, they will receive the next clue. 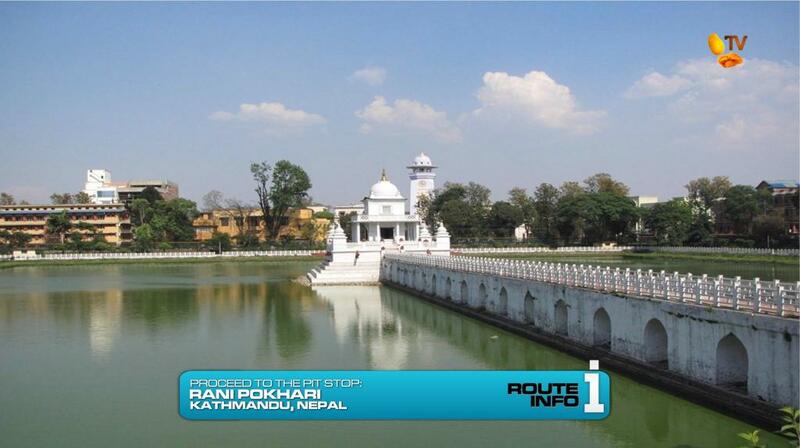 And that clue tells teams to make their way to the Pit Stop at Rani Pokhari. On the next Leg of The Amazing Race Philippines: DryedMangoez Edition, teams help build homes for a local community and get up close and personal with the Himalayas. But will elephants mean the end of one team’s Race? ← Recap: The Amazing Race Australia vs New Zealand, Episode 1 – "I gotta have two legs to run the Race!"